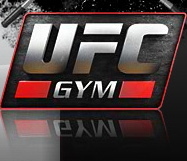 UFC Gym in Los Angeles | MMA Fighting Events Videos Techniques UFC Fight Picks and News. The grand opening of this UFC gym will take place from 10 a.m. to 5 p.m. and will feature giveaways, exhibitions, and autograph signings with UFC and MMA stars Chuck Liddell, Dan Henderson, Mark Munoz and Joseph Benavidez. If you've been wanting to learn how to fight, defend yourself, or you're an MMA fan, make sure you stop by and check out the new UFC gym in Torrance. If you're a member of the UFC gym in Rosemead, leave your thoughts on the gym, it's trainers, and interaction so that our readers and followers of Chingasos MMA that are thinking about joining, can get a better idea of what goes and and a feel for the gym. 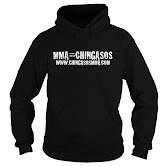 MMA Gyms and Schools in Los Angeles so that you can chose wisely.